Foreign Minister of the Russian Empire, Alexander Gorchakov used to say that he does not believe in information that were not denied. 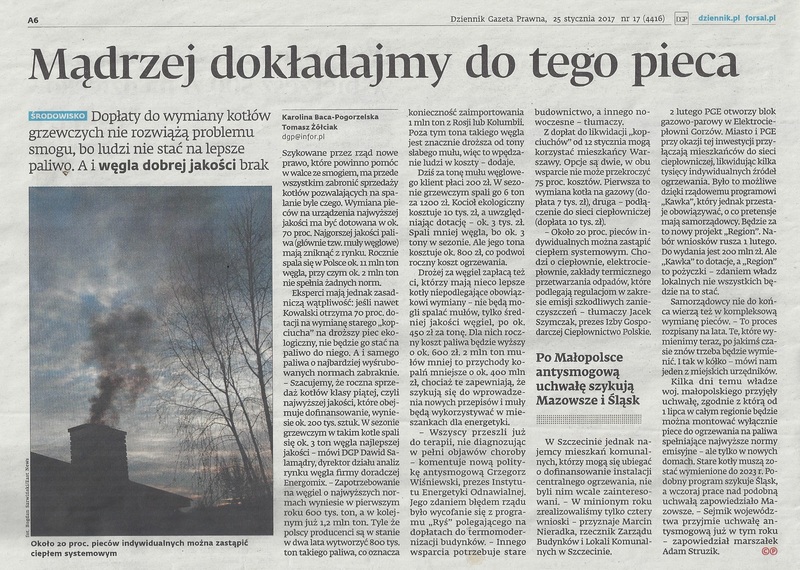 24 hours after breaking news of Ministry of Energy putting a list of PGG-owned hard coal mines that need to be shut down, Grzegorz Tobiszowski (deputy minister responsible for coal mining) decided to step up and disclaim all the rumors. Same statement came from Polska Grupa Gornicza, followed by an announcement that the company will invest 231m PLN in Ruda mine, which was assembled from three out of five worst mines in PGG assets (which all brings average of 87 PLN of loss per ton, with average 27 PLN/t of loss for the whole Polish coal mining sector). If not for the financial reasons, it is possible Ministry or the company itself will have to shut down some of its facilities soon enough due to the European law, that forbids almost everything that was done when PGG was being established. Find out more this week in the Polishcoaldaily Editor comment for the Centre of Analysis of the Jagiellonian Club (PL only).